Buy February 2018's box featuring Carolyn Friedlander's Gleaned collection! 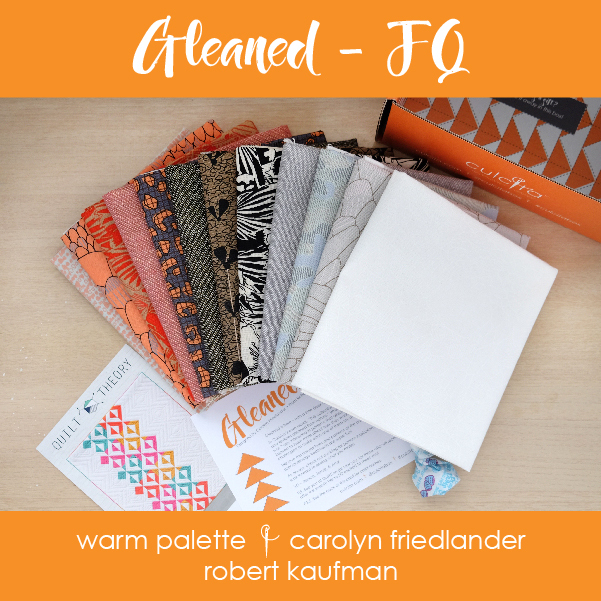 Each box includes 12 fabrics – fat quarter style – including 9 fabrics from the Gleaned collection and 3 from the Essex linen collection (including some metallics!). Choose from two palettes – a Cool palette with greens and blues and a Warm palette with reds and oranges. Your order will ship out within 1 to 2 business days. Price includes US domestic shipping!